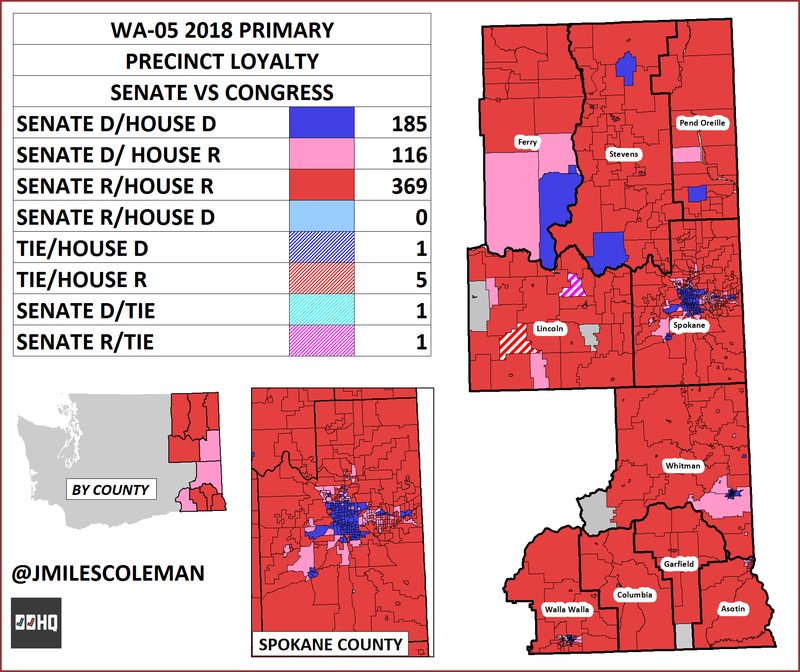 While the district certainly takes in many rural areas, roughly 80% of the votes cast there come from Spokane County (the largest city in the district having the same name) and Whitman County (Pullman). 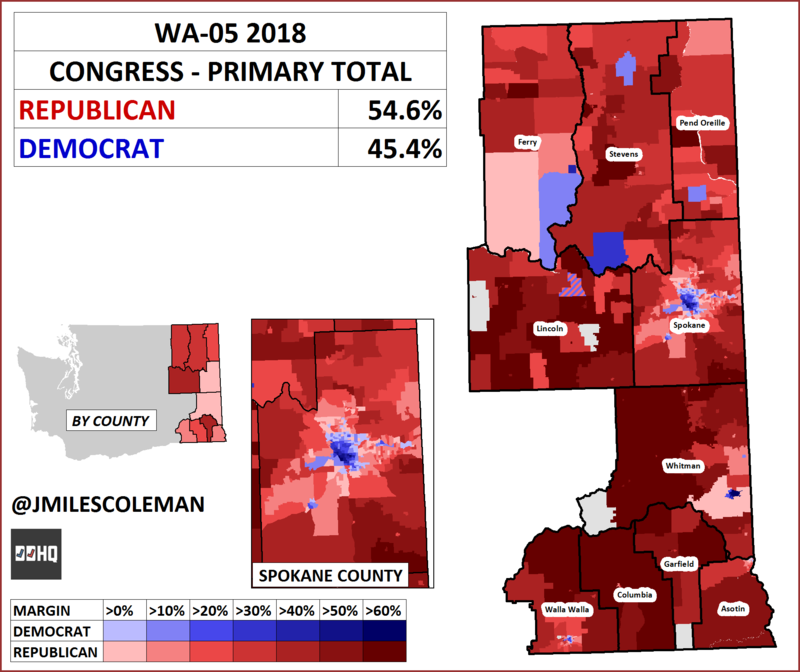 The third major source of votes in WA-05 is Walla Walla County, again which houses a city of the same name. Since 2005, this district has been held by Cathy McMorris Rodgers, who has risen to chair the House Republican Conference. 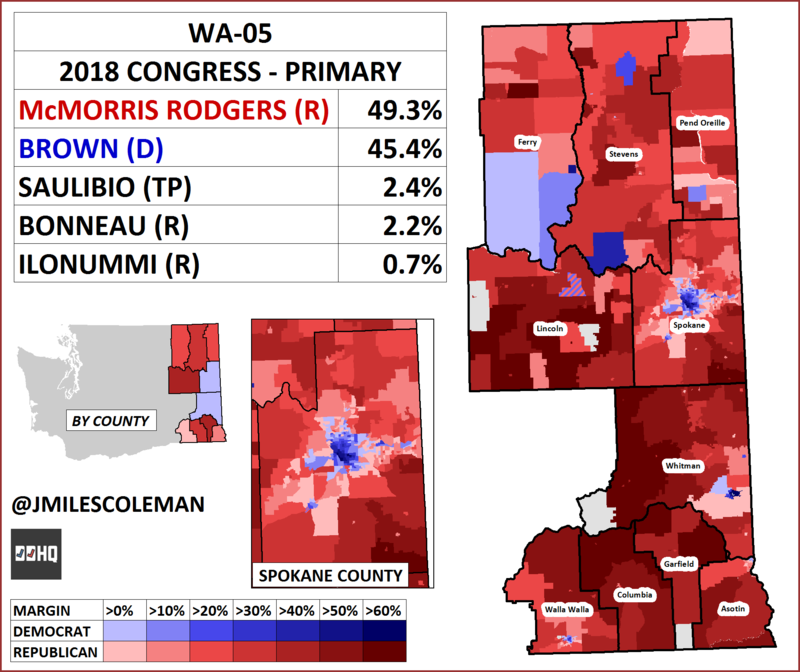 McMorris Rodgers has never faced an especially close general election in this seat; the President carried it by about 15%, so the area generally favors Republicans. This year, though, local Democrats are hoping to take advantage of the national environment. They recruited former State Senate Majority Leader Lisa Brown, who hails from Spokane. Compared to 2016, Brown’s result was better than Clinton’s, who took 39%, but worse than Sen. Patty Murray’s (D). She was reelected with 59% in 2016, and took 48% in WA-05. 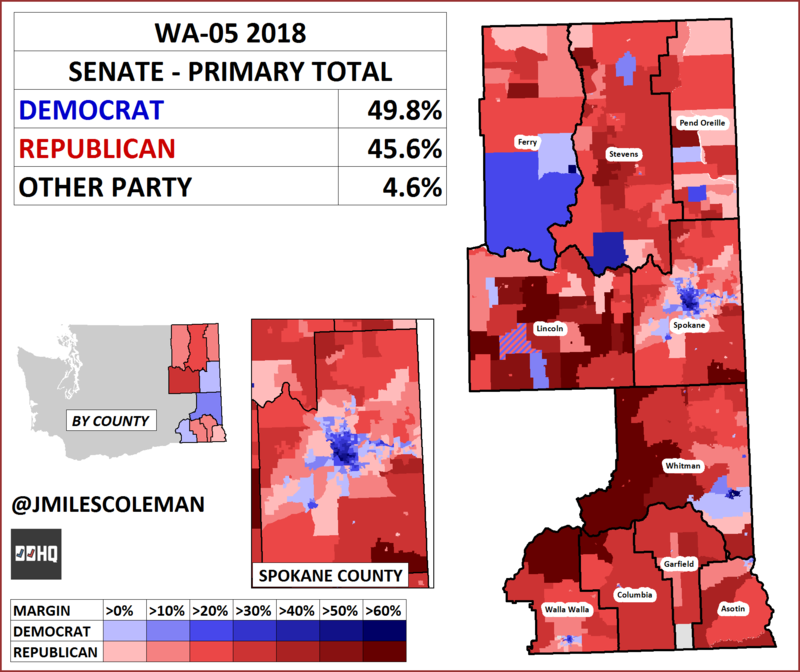 Brown took about 49% in Spokane and Whitman, and was about 7% behind McMorris Rodgers in Walla Walla. Not surprisingly, since the rest of the votes were so fractured, Cantwell placed first in all but Lincoln County. She finished about 30% ahead of Hutchison in Spokane and Whitman Counties, and about 24% ahead in Walla Walla. Going forward, these pink precincts could likely decide the winner of the Congressional race. 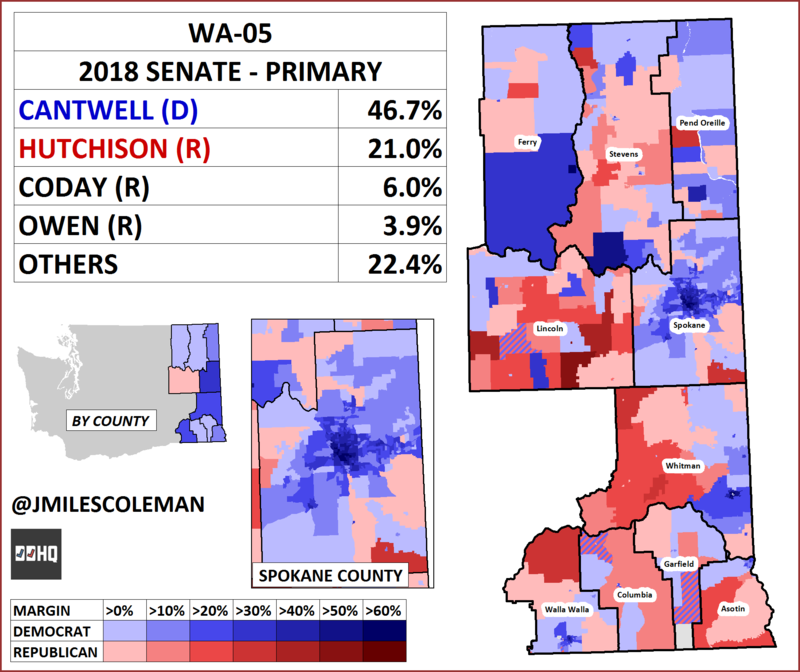 Sen. Cantwell narrowly missed carrying WA-05 in 2012, though did in 2006. If she carries it again, will it be enough to give Brown the boost she needs? Special thanks to John Mifflin (@JohnMifflin2), for providing the data that I used for these maps.